Session 318. After a relaxing week at Cape Paterson it was time for another training run for Across the Bay which is coming up soon. 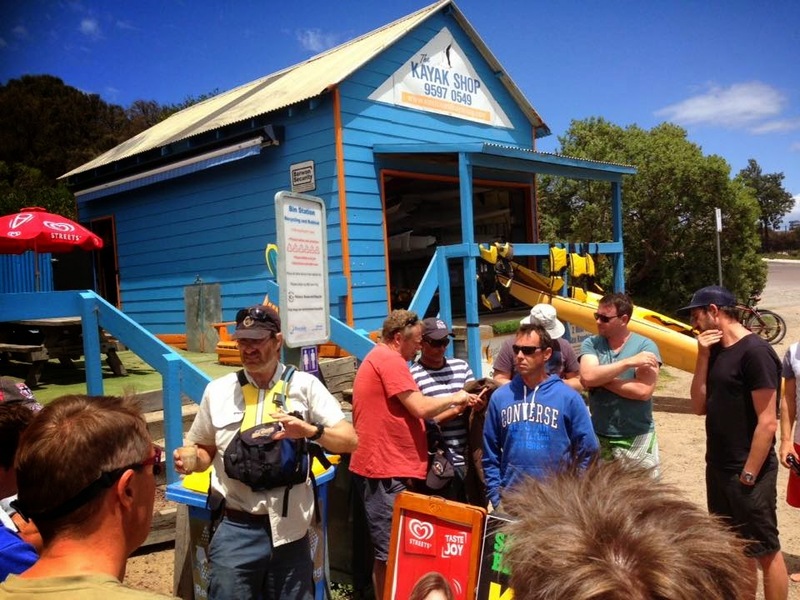 The wind forecast for the afternoon was good so we headed down to meet and Sandy Beach cafe for a quick briefing. Glenn and Craig from SYC graciously volunteered to provide us with boat support to do a run out to Fawkner Beacon and back. 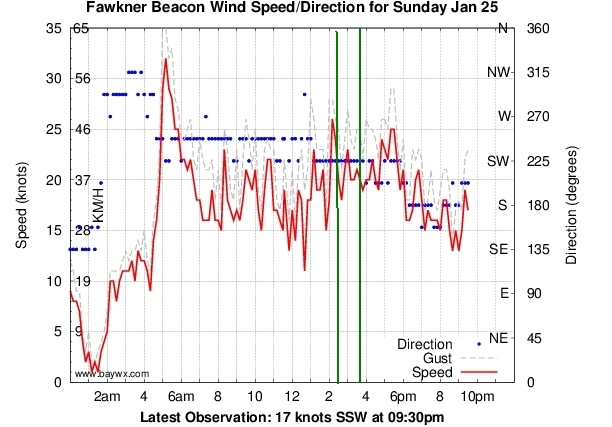 However, the wind direction had too much west in it so we changed our run to a fixed buoy off Brighton. After a few tacks everyone was on the water and the wind was a bit over 20 knots so we headed off. I stayed with the boat briefly then got ahead and downwind a bit to get some better photos from my kitecam. I was scanning around looking for the buoy and eventually spotted it some distance upwind, about which time the wind dropped 5 knots. I was a bit concerned about the wind dropping right out so I started heading back after a few tacks. Initially it looked like I would come in at Brighton but the wind picked up again so I did a long run back towards Green Point then another tack back and out a bit. Others who had stayed upwind made it around the buoy after a few tacks and then headed back. It was good experience for the main event - overpowered one minute then under-powered the next! We met up on the the beach afterwards for a quick debrief - everyone had gone very well. If in doubt, stay upwind while you can, especially when approaching major obstacles. The canoing Type 3 PFDs can ride up a lot. A short strap around the bottom of the front of the PFD under the harness hook can reduce this. NP PFDs have this strap as standard but these vests are not easy to find and they don't have a drink bladder. 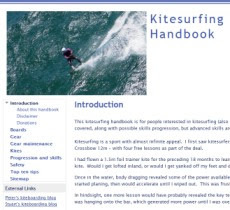 Its better to be a bit overpowered rather than underpowered - when selecting a kite. You can back power off but you can't add it if its not there! The VHF radio in my vest pocket is hard to use - will mount it on the shoulder strap or maybe my helmet.